The design community in the Pacific Northwest understands the importance of architectural light and color. Through the advancements of LED, color changing lighting has made its way onto many of the buildings in Seattle’s skyline and beyond. H.E. William’s Dynamic Lighting technology has paved the way for affordable displays of color, sophisticated atmospheres, and enhanced health through circadian lighting. H.E. Williams has taken the guesswork out of tunable lighting with user-friendly built-in fixture controls. Complex and elaborate lighting systems often don’t get used once installed because the operation is too complicated for the average person. With H.E. Williams color tuning products they have made the utilization of dynamic lighting an enjoyable part of everyday life. The Dynamic Lighting options are instant added value to a project for their ability to transform spaces. Corporate offices quickly and easily become energetic and productive spaces by increasing color temperature to increase alertness. Dynamic Lighting options give restaurants and bars a delightful and seductive atmosphere, while conversely turning a typical hospital suite into a patient oasis specifically designed around scientifically proven circadian lighting for faster healing and reducing anxiety. H.E. Williams proudly designs and manufacturers all products in the USA with the Williams commitment to excellence. H.E. 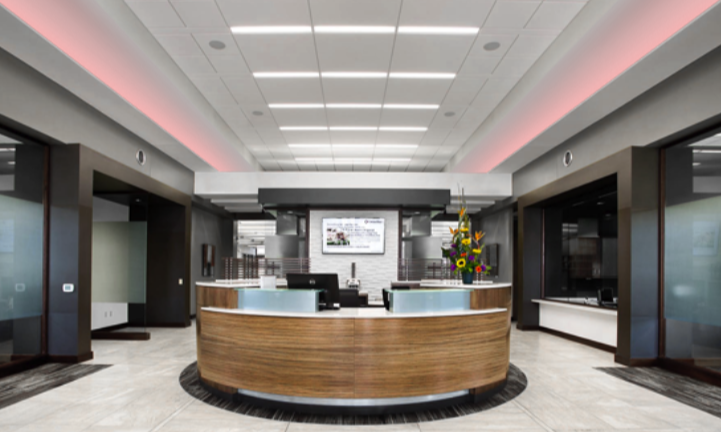 Williams’ latest efforts toward tunable lighting not only provides stunning architectural focal points, but promotes the scientific data supporting circadian lighting and its positive affect on the human body.